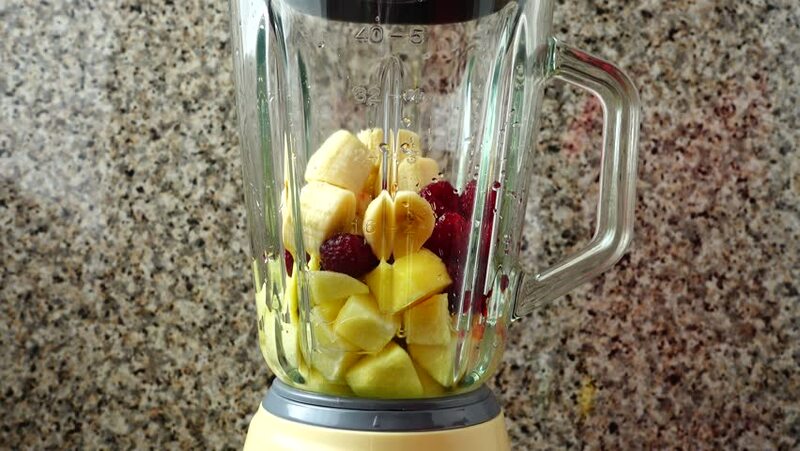 Filling in the blender of apples, raspberry and bananas. Preparation of smoothie in the blender. hd00:08Healthy snacks tag and fruits on table. Food background. hd00:08Easter eggs on a beautiful background.